Melksham Comic Con: A fine day out! 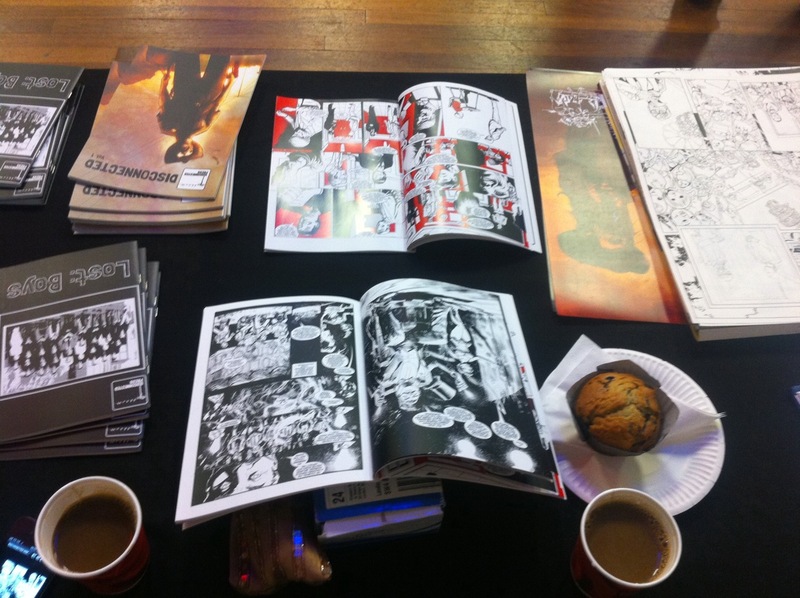 Last Saturday saw Disconnected Press at the inaugural Melksham Comic Con, a contrast after our visit to the boozy fringes of Kapow the weekend before. Hayley from local comic store Komix, and her team of volunteers, put on an amazing day. Humble folk like us were lined up alongside the likes of Paul Cornell, the lovely Mike Collins and Barry Kitson. There was a great buzz to the room all day, with parents, children, pets and the odd droid asking about comics, talking comics, drawing comics…. We may even have snapped up a new artist for later in the year….! 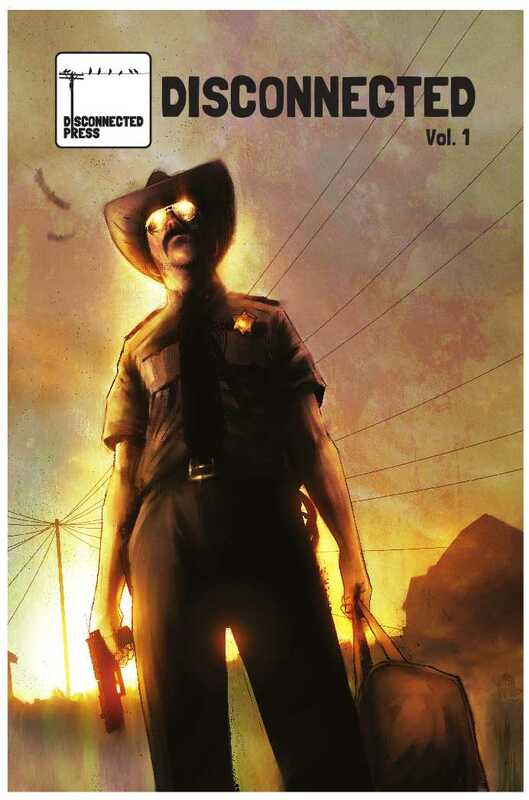 Late, breaking news: Disconnected Press will be at Melksham Comic Con on Saturday 26th May, with copies of Disconnected Vol. 1 and Lost: Boys, plus original comic art by Conor Boyle on sale! Join us at Melksham Assembly Hall (here’s a map), 10am – 5pm on Saturday. There’ll be some great opportunities to get up close and personal with comics creators including the mighty Paul Cornell, the marvellous Mike Collins and the magical Sonia Leong. Small press dynamo Jon Lock will be in the room, as will our beloved printers UK Comics. To Bristol, and we had a great show: admittedly our only goals were that a) our comics would show up and b) someone, anyone, would buy one. Both goals were achieved before the show started so anything else was pure gravy. Or icing. Or something. Our anthologies, Disconnected Vol. 1 and Lost: Boys are now in the hands of our printer, Stuart Gould at UK Comics, so all we can do is sit, wait and remind ourselves to buy a tablecloth to decorate our space at Bristol Expo next weekend. Thumb-twiddling doesn’t make for a fascinating blog post, so let’s share something new with you: our covers. You can find more of Matt’s art at www.matttimson.com though you should all have bought everything he’s ever drawn by now. 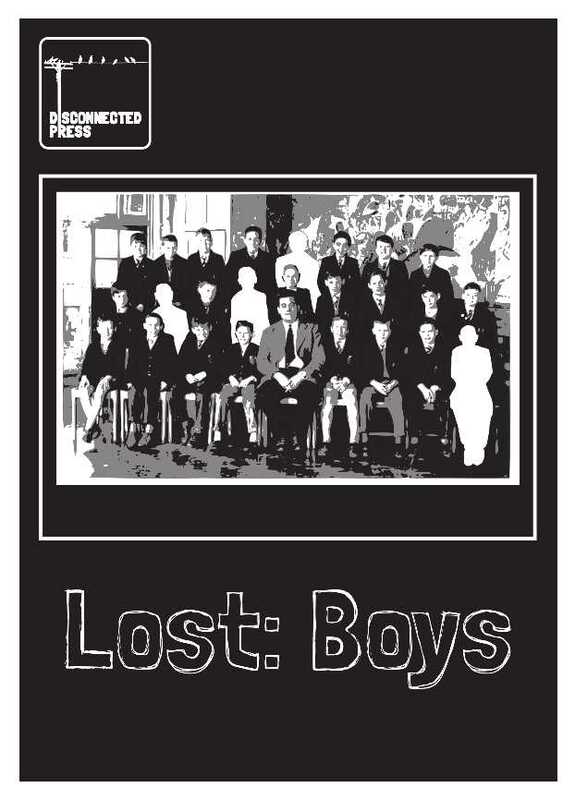 Next up is the cover for Lost: Boys, created by Conor Boyle. Thanks to all who have been in touch about pre-orders – expect an email today for address details (thank the lord for Bank Holiday Mondays!). We go on sale on Saturday at Bristol Expo and online on this site next week, but you can email lizzie@disconnectedpress.co.uk to reserve your copies of Disconnected Volume 1 and Lost: Boys. More soon (perhaps even a blog about buying that tablecloth…. )!